Pictured are (top left) Halo Rife, Horticulture Sweepstakes; Olivia Rife, Best of Show; Phoebe Rife, Reserve Best of Show. 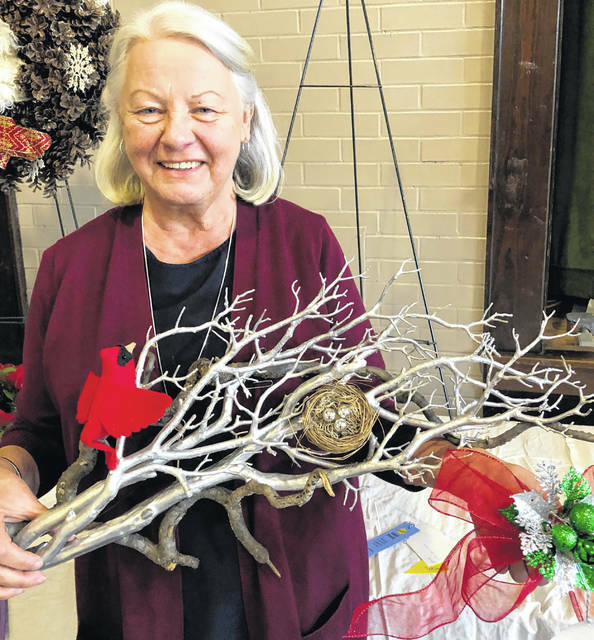 SYRACUSE — Meigs County Garden Club’s Winter Show featured over 100 entrees of festive floral designs, wreaths, and swags with the theme “Christmas Gifts” this past weekend. 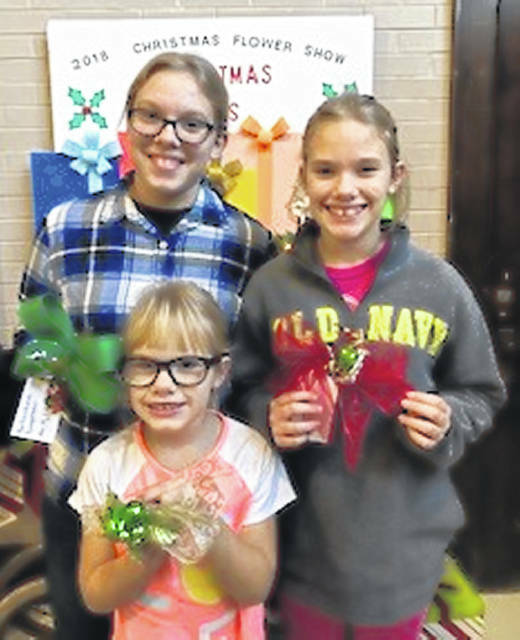 Talented junior designers presented their ideas of “Gift for My Best Friend”, and “My Christmas List”, and a 12-inch arrangement entitled “ Santa’s Little Helper”. 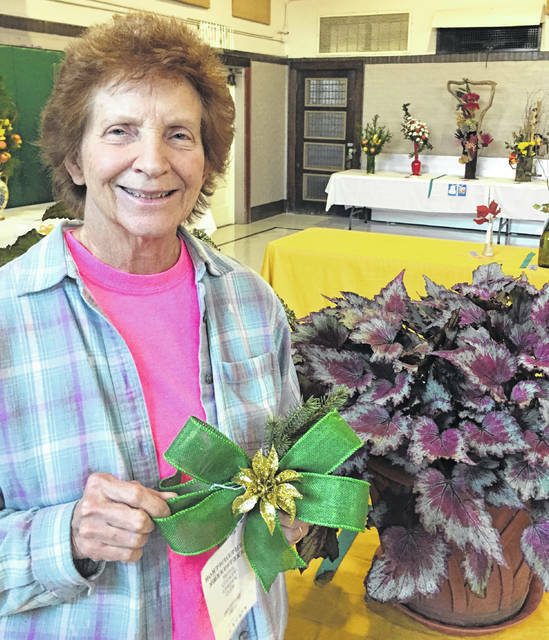 Wreaths, swags, and educational material were on display, along with numerous entries in the Horticulture division. 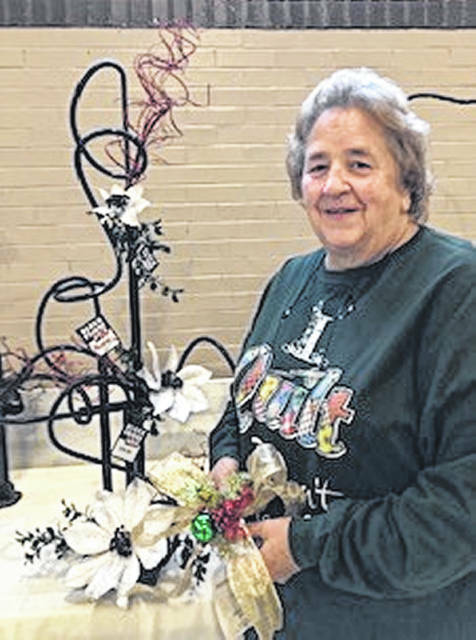 Top Senior level awards went to Melanie Stethem for Best of Show; Peggy Crane, Reserve Best of Show; Linda Blosser, Creativity; and Joy Bentley, Horticulture Sweepstakes. In the Junior Division, Halo Rife was awarded the Horticulture Sweepstakes; Olivia Rife, Best of Show; and Phoebe Rife, Reserve Best of Show. Class 24. Child Package: using natural material designed by a child — 1. Teghan Willis; 2. Paisley Stethem. 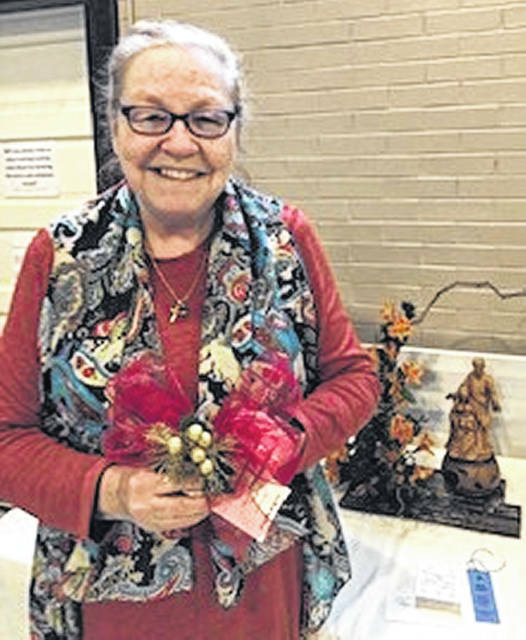 Lorna Hart is a freelance writer for Ohio Valley Publishing.